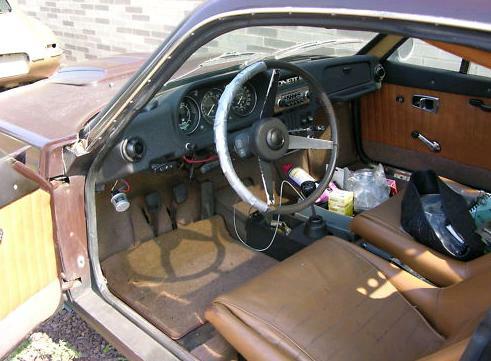 These Saab Sonetts are being offered by the same seller. 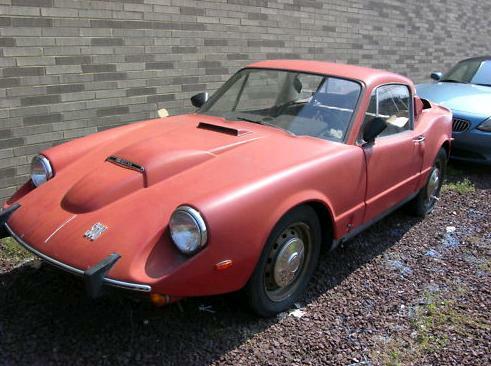 The first is a 1969 Saab Sonett V4. The first Sonett IIs (as these were called when introduced) were powered by an 841cc two-stroke, three cylinder engine. The two-stroke revved like crazy and top speed was around 90 MPH. In 1967 Saab started using a Ford sourced V4. 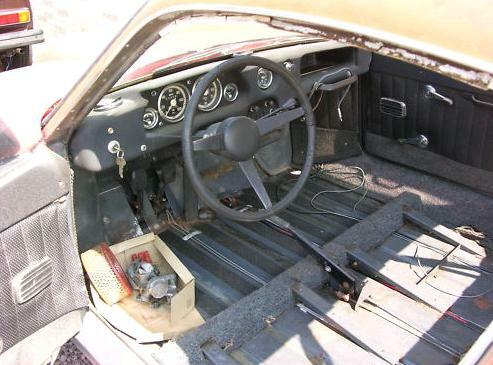 While the V4 was more powerful than the two-stroke engine, it added 80 lbs to the car and performance numbers were similar (0-60 in 12.5 seconds and a top speed of around 100 MPH). The Sonett II / V4 has a very unsporty, but fairly unique (at least in a sports car), column shifter. The seller also has a 1973 Sonett III. This is my favorite Sonett. It has a neat wedge look to it. The car was originally designed by Sergio Coggiola, but Saab's Gunnar Sjögren changed many of the details. The Sonett III also used the V4. It was a half-a-second slower to 60 than the Sonett II, but had a slightly higher top speed. The Sonett III's shifter was floor mounted. The seller say the car is not running. He describes the interior is being in "reasonably serviceable condition", but the exterior finish as being "at the end of its useful life". 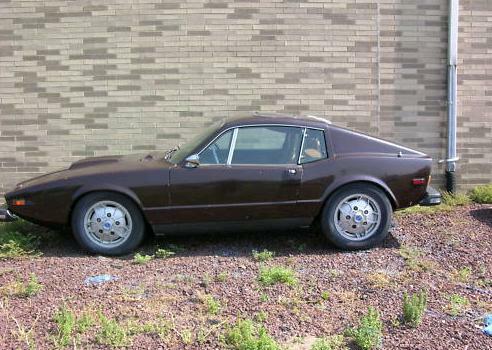 Sonetts are rare cars and very different from every other sports car sold in the 1960s and 1970s. While these cars need a lot of work, they would be great cars to restore. Both cars are located in Delran, NJ. Click here to see the eBay listing for the Sonett V4, and here to see the listing for the Sonett III. They're fun cars. I almost miss mine, but (1) I grew tired of always worrying about potential damage to the nearly irreplaceable rear window and (2) I decided I'd rather go with two-strokes. Now I've got a couple of '67 96 sedans instead. Please do not malign the column shift in the V4. I owned 4 Sonett IIIs and frequently drove my customer David Dodds' V4. The V4 shifted wonderfully, and the IIIs all had way too much inertia (as well as parts)in the linkage, making them slow shifters that were hard on synchros as well. Only about 700 V4s and 9000 IIIs were constructed. The IIIs were only sold new in the USA & France, never on the home market! Glad I outgrew them acctually. Hi Bill - I wasn't maligning the column shifter, I was just pointing out that it's not where one expects the shifter to be in a sports car.